After looking at the wealthy World Tour team owners and sponsors last week, they’re merely the people who spend their money building teams in order to take part in the races. So who owns the races? Here’s a chance to look at the millionaires a and billionaires out to earn money from the sport. As ever the point isn’t to gawk at wealth but to offer an introductory “follow the money” piece so you know who pulls the strings. Wang Jianlin has leapt into the rankings because of his wealth and his role in the sport. He’s the Chinese billionaire behind Wanda, a real estate and entertainment giant in China that’s increasingly shopping abroad. “If they are willing to sell, I am willing to buy Paramount Studies” Wang told the World Economic Forum last week, a familiar phrase given concurrent sources say he tried to buy the Tour de France and Giro d’Italia only to get told they’re not for sale. Wang started out as a Chinese border guard and went on to command a regiment before going into business and owning hundreds of shopping malls, hotels, cinemas and karaoke bars in China and now he’s on a shopping spree around the world buying a real estate, plus a stake in Athletico Madrid football team which will please China’s football-loving President Xi Jinping. Wanda’s bought the Ironman triathlon business, the Velothon gran fondo race series from of Lagardère Sports which also includes several unloved pro races like the Hamburg Cyclassics or the Velothon Wales. Wanda’s also bought Infront, a Swiss sports marketing agency with has a joint venture with another Swiss firm Ringier and InfrontRingier run the Tour de Suisse so this large race falls under Jianlin’s umbrella too. Plenty to chew on but there’s more. Now he’s launching his own event with the Tour of Guangxi that’s been fast-tracked onto the UCI calendar by a compliant UCI who coincidentally have signed a multi-million dollar deal with Wanda too. As such Wang has taken up a prime spot in the sport. Unlike other billionaires in and around the sport he’s not a cycling fan. He recently told the World Economic Forum that cycling and football offer networking and access, that they “can grant you access to other global business that would otherwise be very difficult to get into” as Spanish newspaper AS put it. A means to an end? Yes but wasn’t the Tour de France created just to sell newspapers? Christian Prudhomme is often seen as the Tour de France boss and he does rule the race but he’s still a salaryman and real power in the sport resides with the Tour’s owners, not its employees. ASO, a subsidiary of the Amaury Groupe, is a family business owned and controlled by Marie-Odile Amaury who took over the reins when her husband died in 2006, one of only two women in this series. Readers probably know ASO owns the Tour de France and other races in France but it also runs other sports events like the Paris-Dakar rally and they’ve taken 100% control of the Vuelta a España and are about to relaunch the Tour of Germany next year. ASO has been a small cog in the wheel of a larger media empire but the family sold Le Parisien newspaper meaning the Tour de France and sports events have become more central to the business while L’Equipe’s future is uncertain, an irony that the Tour de France might outlive the newspaper that created it. The Amaury family own the firm 100% after buying out minority shareholders a few years ago and the quietly-spoken Jean-Etienne Amaury (pictured) is being groomed for the top job. He trained as a software engineer and spent several years working discreetly on Bloomberg’s IT systems in London before leaving to do an MBA at Stanford University and then assume a role in the family business. If the Amaury family became rich and famous after acquiring newspaper titles and their subsidiary bike races, across the Alps the Bonacossa family are a wealthy clan of aristocrats who had money long before buying into La Gazzetta Dello Sport during the 1920s alongside other activities in politics and sport. They remain the owners today of the pink paged paper even if they “rent” the paper out in complicated, and apparently private, pact that includes running the Giro d’Italia but not outright ownership. RCS had been the firm running the Gazzetta and the Giro, as well as a larger publishing business with titles like Marca in Spain but last year the group was taken over by Cairo Communications, owned and controlled by media mogul Urbano Cairo. He began work as a protégé of Silvio Berlusconi and ended up with a criminal conviction for fraud but the slate was wiped clean and he launched himself into media and advertising and set about buying TV Channel La7, duelling with Sky for sports rights and buying football club FC Torino. Now he owns the Giro and we can expect a shake-up of the race, he’s already talked about taking it away from state broadcaster RAI (to La7 of course) but this may just have been a negotiating ruse to bid up the rights. 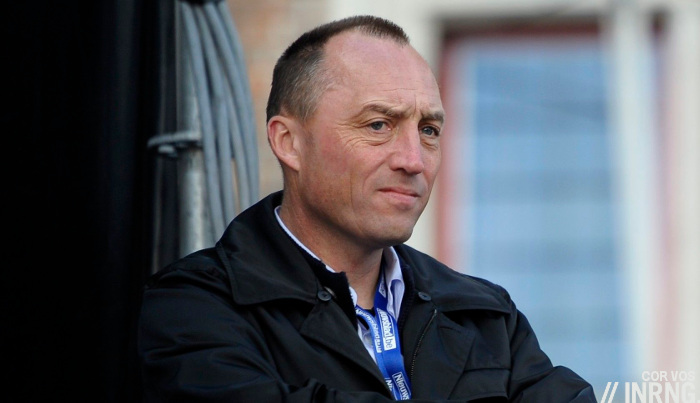 Wouter Vandenhaute must be a busy man right now because he owns more and more of the spring classics. He’s journalist and TV producer and after making his money and branched out into other activities. He’s got fingers in many pies, literally with ownership of restaurants but also Humo magazine and he recently stepped down from managing SBS television. For cyclists, he owns 50% of Flanders Classics, the business that owns the Tour of Flanders and other Flemish fixtures. The other half is owned by Corelio, owner of, among other things, the Het Nieuwsblad newspaper. Vandenhaute’s been snapping up races to package them under the Flanders Classic label – Dwars Door Vlaanderen of late – and put them on the World Tour. This concentration has allowed extra sponsor sales and other cross-selling tactics like hospitality. If you’re still smarting about the Tour of Flanders moving away from the Kapelmuur to the Oude Kwaremont and Paterberg in order to install VIP zones then here’s the man to blame but he’s bringing business acumen to the sport and while traditionalists rage De Ronde has grown into a huge event in Belgium and beyond. There are others in the sport who are wealthy and have an active role. James Murdoch, son and heir-apparent of Rupert, is still a keen cycling fan and CEO of media company 21st Century Fox. Last year he rolled up his sleeves with Sky, the UK, Irish, German and Italian television arm of the Murdoch family empire by taking up the role of Chairman at the firm and then launching a takeover bid for the 60% of the shares he and 21st Century Fox don’t own. Murdoch is an active supporter of the Velon venture, his interest in the media and Sky’s transformation of the British football premiership make this natural. But how long does he want to stay in cycling, British audiences must almost expect a Sky win in the Tour de France where to triumph is to repeat rather than to wow. But as hobbies go it’s cheap as Team Sky’s entire budget represents 1% of Sky’s annual marketing spend. Michael Drapac gets his name on a World Tour jersey. He’s made a fortune over the years as a property developer in Australia and the West Coast of the US and after sponsoring the eponymous Drapac Pro Cycling team has folded this into the Cannondale team to form Cannondale-Drapac. Another wealthy man with so much money he spends it on his hobby? Yes and no as the team is much more than a glorified version of Velogames. He’s long had a keen interest in rider wellbeing with a focus on planning for retirement with riders encouraged to study and to be open about retirement rather than hoping that day is so far away it’s not worth contemplating. Mike Sinyard sponsors three World Tour teams (Bora-Hansgrohe and Quick Step) via his Specialized firm but doesn’t venture many public opinions on the sport; John Burke at Trek took over the business from his father and the US firm as seen sales soar making him wealthy not in the league of those above; it’s taken Segafredo to help find the budget to recruit more riders while Burke has more views on politics than bicycling. King Liu has been the boss at Giant after founding the company and turning it into the world’s largest manufacturer of bikes but again it’s a marketing operation without much power or politics and he’s handing over the reigns to his niece Bonny Tu. Doug Ellis has been a generous backer of Slipstream but his wealth doesn’t put him in the same bracket as others above. Bahamian fund manager Mark Holowesko also sponsors the Cannondale team and also George Hincapie’s team, Citadel-Holowesko but he’s not active in directing the team; still it seems he’s helped introduce Citadel to cycling, it is a giant hedge fund run by Ken Griffin who the internet says is worth $25 billion and worth watching to see if Griffin gets hooked. There are more sponsors of course of other teams but they don’t take such an active role in their teams yet alone the wider sport. Cycling’s long been a poor sport, it’s never attracted the money seem in football, yachting or horse racing but this is changing. The arrival of Wang Jianlin is the big story, he’s effectively taken over the Tour de Suisse and is attempting to put the sport on the map in China again with a new World Tour race and a deal with the UCI and his wealth and reach makes the Amaurys look parochial. Yet for all the billionaire oligarchs and tycoons surely the Amaury’s are the richest people in pro cycling? Not on account of money or “net worth” but because they own the sport’s prime asset: the Tour de France. Even the riches of Wang aren’t enough to let him buy this race. Thanks for all the great information as usual. I think you meant to say that Specialized is down to two teams (you named two only) and this made me check and I see that Astana are on Argon 18 bikes this year. Must have been easy for the Sagan group to make that deal to bring Specialized to the new team with Tinkoff folding and Astana switching bike sponsors? The key way to protect the sport is to have people running it whose sole aim is to have the best cycling races. The UCI’s aim seems to be more about making money – and they seem willing to give these people more power in order to get it. You think that James Murdoch is using Team Sky “to make more money”? Personally, I’ve always seen it as part of the Murdoch empire’s PR budget. Supporting Britain and all that old flannel. Always so definite, so categoric, so deterministic about everything; all-knowing; and, of course, omnipresent. J Evans is just a pseudonym, isn’t it? You’re God, aren’t you? If J Evans is GOD, then I will claim to be his son Jesus! 🙂 Seriously though, the name-calling should be reserved for CyclingNews don’t you think? I’m a little troubled by a guy who started out as a border guard and now has more money than God (or J Evans) as he reminds me of a Chinese Tinkov and I don’t think he did any good for the sport. I like to poke fun at the “rich, chamois-sniffers” but at least their wealth is going into a SPORT they have passion for rather than just another money-making venture. I think this was what God/J Evans was trying to point out. And finally, can we never read this tired old trope again, please? It’s an opinion. I thought that was self-evident, ergo – like many on these pages – I didn’t start my comment with the words ‘In my opinion…’ (e.g. take a look at Ferdi’s opinion on ‘Tame Wildcards’: I found it interesting and somehow managed not to be affronted by how definitive it was). Most people come here to discuss cycling. I would suggest to you that very few people reading this page are interested in how you feel about a random punter on the internet. I certainly have zero interest and feel that such comments detract from this website. But isn’t making money – at least to the extent that an event covers its costs – part of what would make the “best” races the best. I presume the UCI decisions you’re particularly referring to (money over good racing) are the recent desert race additions to the calendar? And I wouldn’t dispute that those decisions as limited in their benefit to the sport. That said financial sustainability needs to be as important in decision making as the “best” races – quality of races can vary and is arguable – I think your post makes its sound simpler and easier than it is (and perhaps you agree that it’s not a simple dichotomy?) If the UCI, Wanda, ASO or any other funding source dumped a bunch of cash into a compelling, challenging spectacle that was a colossal loss it would still disappear as quickly as it began wouldnt it? Or am I wrong here a quality race also needs a sound financial basis to go with its sound competitive and cultural basis (and by cultural I mean cycling culture – and culture not nationality). perhaps a case study would be informative – is there a good article somewhere exploring the inception and growth of Strada Bianchi in terms of finances as well as racing? I believe Strade Bianche has a Gran Fondo attached and may make quite a bit of money from that. UCI has been stressing the importance of accompanying mass start events to pro-races and I believe that maybe a viable way for the sport to go forward. hoh – RCS promotes “Strade Bianche EROICA Pro” but I think it’s more of the EROICA folks letting them use the name for their event as the actual EROICA vintage-bike rally’s been going on since 1997. I doubt any money the EROICA folks make (if there is any) from the various vintage-bike rallies is used to support/promote RCS’ pro race. Hi Larry, thanks for the link. Definitely going to try those events at some point. It also brings up memories of my stolen Vintage Raleigh years back. Oddly, I wasn’t really into cycling back then. Just happy to have a cool bike at a reasonable price. According to the last paragraph, it is ran by RCS. hoh – I missed that one, thanks. Seems RCS is certainly trying to raise revenue with organized citizen events and it’s hard not to say “more power to them”. I’d rather see them raise money that way instead of begging at the feet of petro-sheikhs. Meanwhile, the EROICA folks have recently announced what looks a LOT like a competing event, Nova Eroica http://www.novaeroica.com/ so (sadly) battle lines may have been drawn here? Larry – haha, if modern economics/management theory can be believed, I wouldn’t say it is a sad situation. Supposedly competition is good for end users. Let’s hope both organisations try to create a better experience for participants as a result of this competition. Rather than excluding “money making” for producing “better racing”, which sounds rather high minded and full of self appointed Euro-centric moral high ground, why not try to align the two? Make it so that the only way to “make money” in cycling is by “producing good racing”? I believe this is achievable, by means of mass participation event. As good pro-racing induced genuine fan base is more or less the only way a mass participation event can be sustainable in the long turn. This is why I have high hope about Wanda’s involvement with cycling. Not that I think Wang Jianlin is a saint. He’s far from one. However, he’s business interest is aligned with the interest of promote recreational cycling in China. He’s business model of monetising through mass participation event in China (where most people cycle for commute and hate it rather than for leisure and love it) would require Tour of Guangxi be successful enough to inspire the new generation of Chinese who are health conscious. This is where Tour of Guangxi differs from Abu Dabi Tour or China’s last World Tour event Tour of Beijing, which were used by local government to promote their respective cities and does not involve genuine cycling fans. From that prospective, I’d say Wang didn’t get enough support from the UCI. Tour of Guangxi’s year end spot is very inhibitive of good racing. They should try to move it to coincide with the end of Australian Summer of Cycling and before the European season begin. At that spot teams who had already had a squad in Australia and wish to gain more racing miles can than move over to China before return to Europe. Guangxi is also southern enough that weather is actually quite warm during that time of the year but not as deadly hot as Argentina & Australia (around 14 degree C as of today). Paris-Dakar. Arguably the most incongruously named race on the planet. ASO aren’t immune to chasing a buck. I agree with J Evans in so much as wealthy individuals buying in to the sport *as a means of reaching other market places* does not sound an attractive or particularly long-term proposition. I assume you’re talking about buying into the sport via races rather than teams Ecky? If that’s the case then I agree that no one wants to see a great race bought and when used up a few years later and unable to be sold just left to die. However, if a race can’t be sold to a new owner we’d be right to think that it was loss making. In these cases such as Giro del Lazio (later as Roma Maxima) a rich buyer willing to continue the race for a few years is surely better than nothing. It may even lead to it becoming worth buying in the future. People like to qoute F1 as to what cycling should not become. Multiple owners of the races helps maintain this so new entrants into the market might not be such a bad thing. “Urbano Cairo”, what a great name. Why is making money out of something always assumed to be such a bad thing? Something to do with people supporting a team for largely romantic reasons, and not enjoying the prospect of their ever-increasing ticket prices going to Mr Rich? Especially, in these times, if they are foreign. Not sure, but I have a feeling views/ingrained prejudices differ by culture on this. I think more things in cycling should chase greater profit, or at least more financial stability. Wealthy owners are good because it means we have teams, and teams that are well backed and professional. Wealthy owners are bad when they have only a fleeting interest and just drive up wages and costs for other teams. We could do with more passionate owners outside the WT to help boost the PCT. It’s unlikely to happen, but it would be nice to help raise the overall level of the sport. There’s just a lot of hesitancy from brands because cycling is still so dominate by a handful of events. Events need to be more financially stable. The number of races that can’t attract sponsors or break even is seemingly growing year on year, to the extent that really well known and established races (like Qatar, Philliy, Crit Int, Tour Med) are folding. I’d like to see some of these big team owners and firms fund their own races as well. Get their riders help on what makes a good route and background organisation. Then add in a mass-participation sportive/fondo/rider and maybe an amateur/u23 race. It’ll be well recieved, and if the “owner” is comitted it will establish itself soon enough and attract sponsors. Like it or not, firms don’t seem willing enough to provide the backing and support for the sport. They help, but we need the individuals just as much. First, I totally agree with Larry and J. Evans. Play the ball, not the man. Different and constructive views are what makes INRNGs blog so different and interesting. Personal attacks do little or nothing to add to the blog content, and can upset other posters. On the question of wealthy individuals in cycling. As far back as I can remember there were always wealthy individuals involved in bike racing. They may not have had ‘modern wealth’ but in their time they were considered extremely rich. These benefactors, and their ‘fronts’ have run through the sport from the highest to the lowest of club levels. If the UCI does the job it is elected for – running and controlling the sport, then there is little to fear. That they appear at the present to be driven by income does give cause for concern. +1 Some of the posters I often disagree with on here are obviously massive knowledgeable, love the sport, and really interesting. This is a great blog for reasonable debate and long may it continue. Name-calling and trolls are for other places. +1 BC. For both paragraphs. What is the million dollar deal between Wanda and UCI? 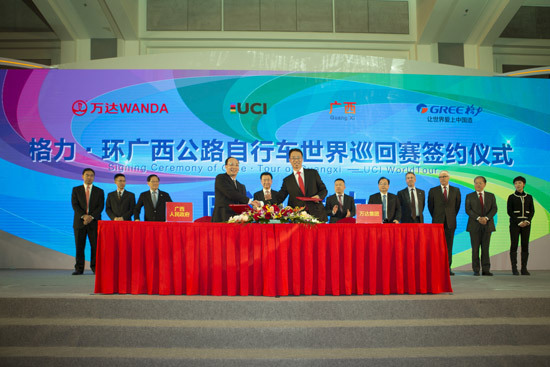 See http://inrng.com/2016/12/uci-china-development-deal/ for more on the UCI-Wanda deal. The UCI is a strange animal – are they a legislative board? Are they a drug testing body? Do they organise races? Clearly the different hats have conflicts with each other. As long as someone is paying the bills to keep the cogs turning and the wheels a’rolling. See, that’s where I disagree. And that opinion is based solely on the effects of greed that we see all around the world and, specifically, how greed could affect cycling. I don’t think that’s ‘full of self appointed Euro-centric moral high ground’, as suggested above – it has nothing to do with geography. Secondly, it’s got nothing to do with the nationality of those concerned. Thirdly, people didn’t become xenophobic all of a sudden, even if the fact that they are has only just been realised by some. Joe K – that’s the logic that created pro cycling’s current mess, don’t you think? The regime at UCI for far too long pretended to be concerned about doping, but really just wanted the money to keep on coming in. IMHO the worst of ’em all was ol’ Heinie the candy marketing-maven. He not only looked the other way (as long as the cash kept rolling in) but actually enabled BigTex in his massive fraud. Pro cycling as a BUSINESS as well as sport has been greatly harmed by your “As long as someone is paying the bills to keep cogs turning and the wheels a’rolling” ideas. It continues to pay the price and now we can add the incompetence (or enabling?) 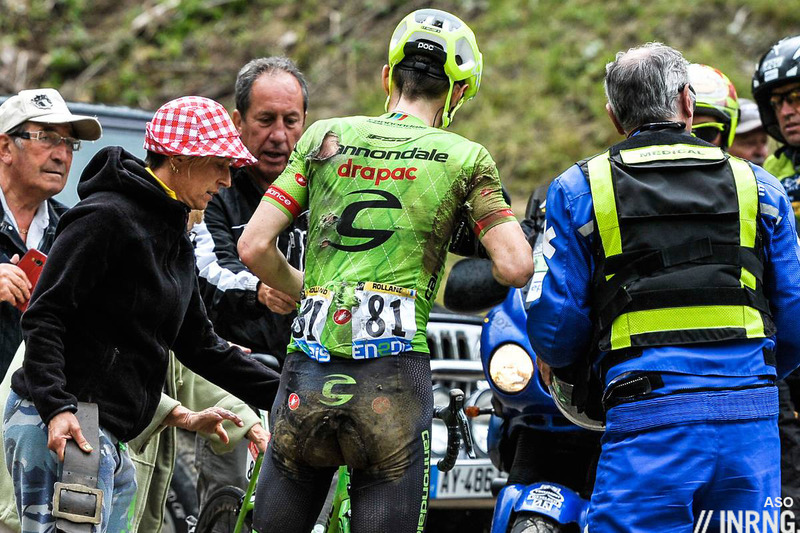 in the case of motorized bicycles to the mess the UCI has to answer for. When your sport ends up the target of CBS 60 minutes – you have a real problem with credibility just at the time the general public just might have started to think the doping problem was under control. Joe K – Larry and J Evans are bang on correct – Professional sports leagues that are picky about who can own a team tend to be way more successful. You can only be picky if there’s a strong demand. Works well for Football and American Football where there is a constant demand from potential owners and the relevant governing oganizations are therefore in a position to say no to certain people. Or you get something like F1 where the barriers to entry are too high and the competitiveness goes away leavin a few powerful teams at the top (almost sounds familiar). Or as we have in cycling where there’s such a shortage of financial backing we can’t even guarantee filling the top level of the sport with competitive teams. This isn’t a cry for “let anyone in”. But we need a certain awareness of the sport and it’s situation. We may want to be more selective in who participates, but without the demand we cannot do this without preventing the sport from growing. My comment isn’t really connected to the topic but one could link it to wealth. Looking at the Herald Sun Tour lineup I am surprised and puzzled to see that many Euro Conti Pro teams. Those teams have small budget, therefore why do they fly across the globe to attend a ‘minor’ race ? Is the Herald Sun Tour paying for their expenses (I know it’s the case for the WT races in Montreal and Quebec) ? And if so why pay for Conti Pro teams when you can have WT teams, moreover use the fact that all the WT teams where here for the TDU. If you could shed some light I would be thankful ! The Herald Sun newspaper is a title owned by the Murdochs so it connects to the subject and this explains why Sky are so keen to ride. As for the others, there are only a three Euro Pro Conti teams (Roompot, Gazprom and Acqua Blue) and they do get paid some money to take part but we won’t know if there are private deals to fly them out. Otherwise it’s a good training camp in the sunshine before and after as well and so helps with a decent start to the season. I also had JLT-Condor as a conti pro whereas they are conti. Not exactly about the most wealthy people in pro cycling, still about… wealth (and health) of pro cycling – the theme has been already introduced above, I hope not to be too much OT. Inrng noticed some days above that “Dutch broadcaster NOS is no longer showing the Giro”. Apparently, if I understood my sources well, that’s not the *right focus*: truth is that Eurosport went on a campaign to buy exclusive rights; and/or RCS has been offering exclusive rights, since they signed exclusive deals more often than ever – mainly with Eurosport. If someone has got some more behind-the-scene knowledge to share, it would be welcome. The final result is that the public broadcasters have been kicked out from most countries, in Europe plus Australia. And it’s a 4 years deal, until 2020 included. I believe that it’s an Eurosport idea, because they tried to to the same with the Flemish races (I don’t know if they succeeded as spectacularly in doing that, too, but I think so). On the one hand, it’s a good thing that the newly Discovery-funded Eurosport has decided to invest more resolutely than ever in cycling, considering the Giro and the Classics as true “killer apps”, as you would call them in the videogame market. Something so good that, being exclusive, *forces in* many customers who weren’t buying the device/console/platform/subscription, and who probably wouldn’t buy otherwise. I suppose that the exclusive deals are bringing more cash than the previous ones to RCS (or I hope so!) and, for sure, sort of a steadier economic perspective, come with a 4-years settlement. On the other hand, cycling is probably going to lose a good slice of audience in most main cycling countries. Spain is gone, Belgium and the Netherlands are gone. If Denmark is considered “Europe”, that’s gone, too. And the strong coverage that supposedly was granted by SBS in Australia is gone, too. Gone to Eurosport, I mean, but, all the same, it’s very hard to see Eurosport matching the ratings of a national public broadcaster. The Giro has been enjoying a 4-5 M worldwide audience, and between a third-part and a half of that was probably provided by the above-mentioned countries. If Eurosport isn’t going to grow, this is going to have a tragic impact: current Eurosport’s ratings are often petty (no offence meant) when compared to the public broadcasters, at least when cycling is concerned. 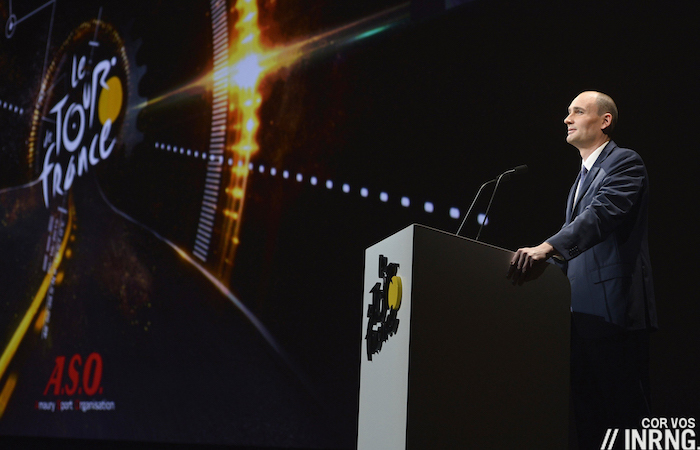 The German case is telling: Eurosport remained as the only TdF broadcaster and was free, yet the figures didn’t raise very much when the public TV turned its back on the Tour – nor did they drop that much when the national channel came back. The worst scenario lies somewhere around a 85% viewers’ drop in those countries, and a nearly-40% drop in global audience. Obviously, I hope – better said, I’m sure that – Eurosport’s drive will change radically. The mere fact of needing to get access in order to watch not only the Giro, but also the Sanremo and several Flanders Classics, while at the same time going on being granted a great albeit not exclusive coverage of most other cycling races should help. The concept of 4-years deal should hint at a serious project, including an expected (and called for) audience growth. However, I can’t but notice that pay broadcasters (the worst situation) as well as, more generally speaking, many non-public broadcasters, in Europe, are really struggling to achieve figures even near to public, free channels. Moreover, the kind of public tends to be more generalist, not only when we’re speaking of a *generalist channel* (like in Denmark and, sometimes, in Spain), but even when it’s a – public, free – sports channel. I can’t see this evolution in itself as being very good for the sport, and especially for any involved races. Will Movistar be that happy to send Quintana to the Giro if the race is going to lose most Spanish viewers? And what about the strong Dutch contingent who this year decided to bet on the Maglia Rosa challenge? There aren’t as many commodities producers as in the past, among the WT team sponsors (perhaps this affected the startegies? Bike brands might prefer Eurosport, after all), yet most of them work through the markets which will see cycling audience shrink, while becoming more sport focussed, that is, less generalist-buyers in the mix: Segafredo entered cycling also to push the export, Sunweb is Dutch, Quickstep is sold in Spain (and at least in Belgium, I’d bet! ), Soudal and Alpecin were buying ads during the race besides sponsoring the team, yet I guess they were interested in that kind of audience as potential consumers. Not to speak of the race sponsors themselves, and I’m not thinking only about the Giro’s (which will always find good sponsors, be it in Italy alone), but more than anything about Tirreno-Adriatico – which might lose a lot of commercial appeal when faced to Paris-Nice – and Sanremo or Lombardia. The Lombardia tends to have an higher percentage of foreign TV public, and RCS should have gone for foreign markets and sponsors (in fact, they were more or less trying to do that). The worst perspective I sense as looming over this new setting? The fragmentation of the now-famous concept of *season narrative* will progress in most countries, splitting GTs, Monuments and week-long stage races through different TV channels, sometimes on pay-TV. … and *real investments* for RCS, that is, using that bigger and steadier cash to stop living day-by-day and launching some initiative which might foster the races’ importance. Buying better riders, starting to include some special, impressive stage finish even if there’s no sky station available to pay, buying ads on generalist networks, fostering race-tourism and cyclosportives, growing grassroots with local races which might lose money in themselves but…, helping juvenile cycling and so on. Don’t know why but I’m more optimist about Eurosport. I suppose because they’re going to try to make sense of the money they spent, while RCS has cashed in and now the easiest thing is… keep it all in your pockets. However, I’m deeply convinced that national and international federations should have a say. This is going to shape the future of the sport way more than most rules they might enforce. Possibly, more than doping or motor scandals. They can’t dictate much to private subjects, but they can keep a keen eye on what’s happening and, as I suggested above, “have a say”, moral suasion or whatever. To end on a high note, France is different. L’Equipe TV bought exclusive rights for France. At least, it’s on air for free – and it’s not worse than what we had before (BeIN). Excellent points! I used to pay a lot of attention to MOTOGP. Sunday at 2PM I tried to be in front of a TV, even if I had to skip dolci at lunch! But now I don’t bother since the races are pay-per-view in most cases. I’m sure someone is making money on this, but long-term I don’t think it’s smart. One of my Italian-language instructors (a middle-aged woman) was able to have intelligent discussions about the sport with me despite never touching a moto in her life! But she was NOT going to sign up for pay-per-view to watch the races and neither was yours truly. I gradually stopped paying much attention to the sport, same as F1. Short term profits are great for RCS, but what are the long term costs when the general public no longer tunes in…and gradually no longer cares? When you read about MOTOGP and F1’s dwindling grids, sponsorship troubles and dwindling TV viewership, it should be obvious that pro cycling needn’t follow this model. They can’t do much about the economic crisis in the traditional cycling countries, but thing they can control, like doping scandals continue to drip, drip, drip…now joined by motorized bicycles as examples of corruption and cheating. In addition to these troubles, pushing the sport away from the view of the general public strikes me as purely a short-term measure..at the likely expense of long-term interest in the sport. RCS continues to put out the small fires while the slow-burning flames underneath threaten to consume their events. Maybe ASO should buy the whole thing? Will the Giro survive otherwise? While I’m someone who is far-from-a-fan of the French, they continue to be the only adults in the pro cycling room at present. I almost can’t believe I wrote that! Larry, I prefer difference – and ASO has been about to sink the TdF (and, therefore, the whole cycling world) at least a couple of times, in recent years. Given cycling’s situation, I wouldn’t ever bet on a single horse – however good might it look like when compared to the rest. Sure, they also totally messed up last Ti-Ad, discarded the perfect Sanremo route they had found by chance, and they’ve been idiotically (sorry) underestimating Lombardia, once again, like in Sanremo’s case, throwing away wonderful routes; they’ve disposed of Giro del Lazio when it just started to work great. When few were thinking about these solutions, they had a great free Giro streaming for the countries where no TV rights had been sold, and they closed it. They’ve got the best route information displayed on one of the worst websites. It’s pretty much evident that RCS is a suicide-prone chaos, yet they are currently succeeding (I hope I won’t need to say “were”) in producing, all in all, better races than ASO, and that’s a point which I wouldn’t deem secundary, not at all. They’re hurting the national race panorama, when smaller races are concerned, but that’s just what ASO does, too. Despite a social and economic and sport-federation-related context which is HUGELY better in France, little French races are often struggling like the Italian ones – or worse. In the world of wishful thinking, I prefer to hope for a better governing body: I don’t believe that a national(istic) private company will manage the *common interests* as effectively as it does with its own. And, no, hoping that the two spheres will overlap if they buy it all is even beyond wishful thinking. I pretty much agree but I attribute more of the RCS success you describe to the previous (Zomegnan) regime than to the current (Vegni) setup. That is the reason I say ASO are the only adults in the room. As an Italo-phile I wish this was not the case but now with Cairo as the RCS owner I really fear the worst for Italian cycling. But you can’t imagine how happy I will be to be proven wrong! It’s no more a one-man show, and Zomegnan had his downsides, too. 2013-2016 have been four years of nearly unprecented success for the Giro (speaking of the last 20 years) thanks to better course design and improved average quality of the startlist. Zomegnan’s management sometimes offered a single athlete’s unchallenged supremacy or a match among good-but-not-the very-best athletes. Sure, the policies which created the road to success were defined by Zomegnan, but Vegni (who was already on board) improved several aspects. Besides, the management has become more collective, which on the one hand means that people who don’t understand much end up muscling in, but, on the other hand, great technicians or specialists in the RCS team now have a say within the upper level, which was impossible with Zomegnan. It’s a complicated situation and Vegni has great personal flaws, plus the management of the company is not precisely top quality. Even so, the results speak in their favour, when compared to ASO. ASO sits steadily on the very top because of the huge amount of money they’ve got and the cultural and political capital which is the TdF, but I wouldn’t say that they’ve been improving things greatly in recent years… besides what they did copying RCS. But if they buy out RCS’s cycling assets, then who will they copy? Interesting and I’ve been wondering the same. Cycling fans may rejoice with more coverage on Eurosport but most team sponsors want to reach millions of ordinary households above and beyond the committed fans, the mass market as well as the niche audience. Note it can’t all go to the specialist media, various events have to be shown free on public broadcasters, see http://inrng.com/2015/02/the-tour-de-frances-tv-guarantee/ for more on this with the Tour de France and the PDF link in my comment at 8.57am which covers all the other obligations across Europe. Sure, but I think they had a look at the laws. They never bought exclusive rights *for the home country*, which does away with a significant part of the problem, and, if the list stands today as it was then, Eurosport might have some issue only with Sanremo and Lombardia in Belgium. As I wrote above, we might suffer from fragmentation, not only because the public TV viewers will see cycling being split through different platforms (the effect on Flanders, subject to a similar situation in previous years, too, is already quite apparent in Spain), but also because… imagine if you are trying to convince a sponsor to jump in – a team, or a race, it’s the same: well, for SOME races, we’ll be on air for free on public TV in Italy, for free but on a satellite platform in Germany and Belgium, for free but on a new-born specialised broadcaster in France, and on pay-TV in Spain; wait, I haven’t finished yet! For other races, we’ll be on a pay-TV in Belgium, too. And what about UK? Uff, it depends on Brexit… is it a cycling Brexit or not very much so? Here I’m joking, but the problem is there: international markets, growing “internal export” in Europe, and what *exactly* are we offering to the investors? Something that they need an TV-rights expert to understand? I’ve always been pretty sure that RCS (or ASO) wouldn’t put the national market at stake – and they didn’t – , but in cycling’s case that’s more or less the only thing protected by the laws you referred to (except for Belgium… which obviously has a *keen eye* for the Italian Classics and the Tour). This is an area where cycling *could* learn from F1. Not in going down the pay-per-view route, but in having a single body responsible for selling rights to the whole season. Even so, F1 in Italy is split among several mutually exclusive options, ranging from pay TV to free public channels, and the audience results are awful. However, I agree that some sort of coordination might greatly help cycling, that is, I acknowledge that F1 idea might have been good, but wrongly applied (in Italy, at least). Gabriele – I wouldn’t be too sure about RCS, as there were a few years il Giro was not on RAI but on Berlusconi’s Italia 1, remember? These days I could see them selling to pay-per-view if there was more money on offer than they could get from RAI. A short-term windfall but a very bad long-term (based on my opinion of F1 and MOTOGP) idea. Even though they’re prohibited by law from doing the same, I doubt the current adult management of ASO would sell out their long-term Tour interests for some quick short-term profits. Pay per view usually means I don’t! and thus give up the interest. I can’t just be me either. Used to love F1 and Motogp. Me too. I pay £4 a month to watch Eurosport online, but that’s as far as I’d go. All those people who watch for the nice views, etc., they’d be gone. Touche, my £4 a month for iplayer is about my limit. been riding/racing for over 25 years and describe myself as an avid fan, participant and general soaker up of anything cycling related, however I used to be that way with Motorcycle Grand Prix but now I don’t even know where to view it, let alone who’s riding for which team?? I would hate for cycling to follow that path, blimey I might have to read a book again. Pay-per-view will only make things worse. Larry, Italian sponsors are gone because they *never* were that big, and the money they can throw in are no longer enough to compete on a decent level. The problem isn’t even “the crisis”, it’s the raising costs of managing a competitive cycling team: have a look at the budget raise in the last 5-6 years or so. The other problem is that with the “let’s buy ’em all” policy some team do enforce, you don’t even have a chance to buy a *fine rider* to, at least, compete for lesser goals. A huge slice of the middle-to-good level of riders are working as gregari instead of trying to have a say as captains in a lesser team. Have a look at my analysis of “concentration” of riders from a few same teams on the top of the GC in the last TdF, for instance. However, you can make an esteem of *(more or less) casual viewers* against *cycling fans* and the latter typically don’t even cover half of the TV audience, nor in Italy nor in Spain. Which means that a lot of people are still interested in “nice views” or the occasional emotion of a sport they don’t practice or know so well. These are the ones which will be kicked out by pay-TV, besides… many “true” fans who simply can’t pay or don’t want to. In Italy a lot of spectators went indeed lost after the Pantani era, but perhaps the Pantani era was a peak in itself, doping scandals or not. Remember Luna Rossa in sailing? On the other hand, TV ratings in recent years have grown up again and then stayed steadily good. According to the London Times today Premier League Football audiences may be beginning to suffer from the duopoly of BT and Sky pay TV. A distoting factor is viewing habit associated with smartphones and tablets, since traditional audience research may not pick up such digital and mobile “cut through”. But although the message of trends seems mixed as yet, fan audiences have certainly leeched into pirate viewing. It just seems so obvious that this would happen, even with such an apparently inelastic product, as technology such as Internet Protocol television and firesticks loaded with illegal apps allow ways round paying for the coverage.